Kara Donohoe, a massage therapist for Harvard University Health Services’ Center for Wellness, filed a class action lawsuit against Harvard on Monday, alleging that the University has misclassified her and other employees as independent contractors, thereby denying them benefits. The lawsuit aims to recover damages for wages and benefits—among them paid vacation, paid holidays, sick days, and the ability to take Harvard classes at a discounted price—for the purportedly misclassified workers, which include Donohoe and “all other similarly situated,” according to the lawsuit. Shannon E. Liss-Riordan ’90, the attorney for the case and a former Crimson editor, claims that the workers’ services are performed “in the employer’s usual course of business,” which would qualify the workers as employees under Massachusetts state law. The Massachusetts law is three-pronged: a worker is considered a contractor if he or she is not under direction of superiors, is not part of the “usual course of business” of the employer, or has an independent business separate from their work from the employer in question. For determining whether a worker is an employee or contractor, “Massachusetts happens to have one of the strongest tests in the country,” Liss-Riordan said. She added that the Massachusetts test is more protective of employees than the federal equivalent. The lawsuit could be costly to the University depending on how many plaintiffs come forward in the lawsuit. 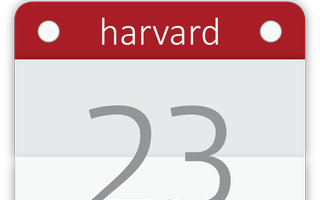 If Harvard violates Massachusetts wage law, it must pay workers three times the amount of wages that were denied to them, plus reimbursements. Liss-Riordan, who has sued the University in the past and is currently involved in a lawsuit against Uber, believes that there are “likely many other employees around Harvard who have been misclassified as contractors,” although she did not know exactly how many. Employee status would also allow the plaintiffs to join a union, something Donohoe said she would “love to” do but is currently not allowed as a contractor. Donohoe began researching the distinction between employees and contractors this winter break, when she and her coworkers had to take two weeks of mandatory unpaid vacation. 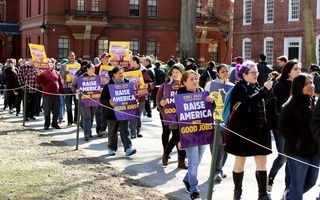 Protesters said the changes would raise out-of-pocket costs for employees, an allegation that Harvard Club of Boston spokesperson Diana C. Pisciotta denied Thursday.